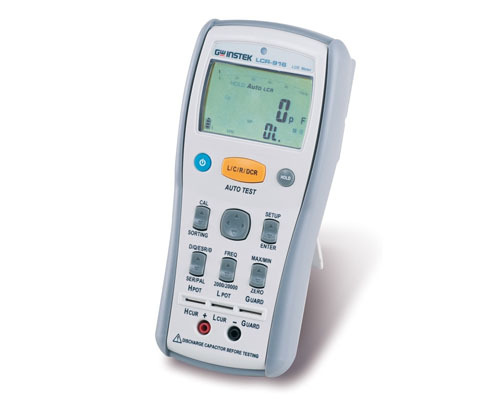 The meter automatically identifies the specified L, C, or R parameters for both parallel and series circuits while the DUT is being measured. This AUTO LCR mode can be active for the selected function or every time the meter is turned on. The meter is provided with a complete accessories kit as standard or optional including alligator clips, an SMD test probe, a USB cable, an AC adaptor, 4Wire DIP test lead and a shorting cube to increase measurement options. AA sized batteries, USB power (optional) or an AC adapter (optional) can be used to power the meters, giving you a number of options for portability. The LCR900 software (optional) is available for your handheld LCR meter. This software is to configure the measurement parameters and automate the recording of continuous readings.